Modern laptops never seem to have quite enough USB ports for all your plug-ins. Hook up a mouse, plug in a flash drive, and suddenly you’ve got no room for anything else. And as more laptops adopt USB-C ports, some items won’t plug in at all. A port hub can fix both problems, and right now you can get an AmazonBasics USB-C to three-port USB hub for $20, the lowest we’ve seen it and nearly 20 percent off its average price. 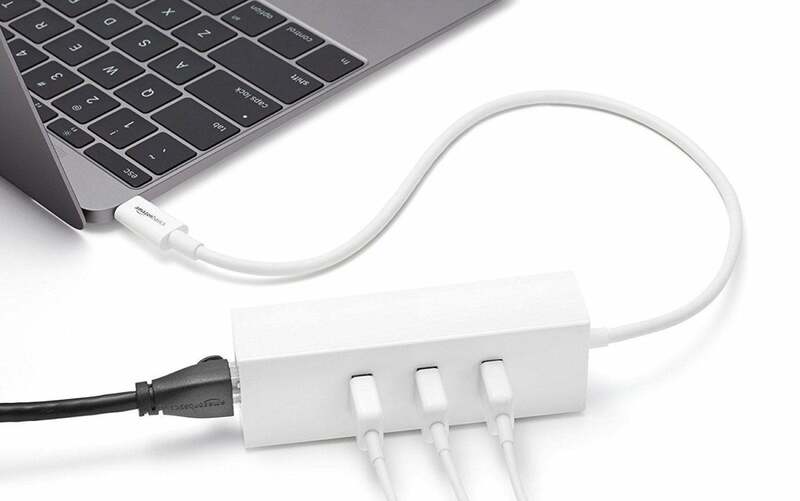 While we haven’t tried this hub ourselves, it has an Amazon user rating of 4.1 stars out of 5, with reviewers pointing to its simplicity, compatibility with multiple devices, and reliability—as well as its already-low standard price point—as reasons to buy the AmazonBasics USB-C to three-port USB hub. Reviewers also report it stays cool while in use, unlike some rival port hubs.